New technology available for makers around the world. 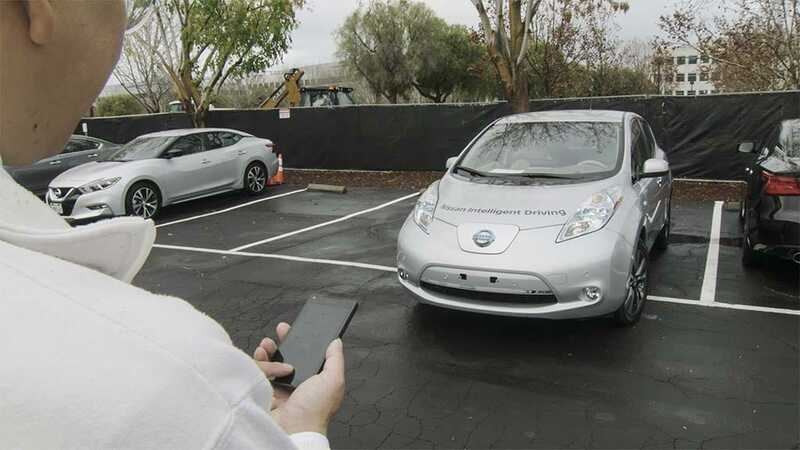 NVIDIA and Baidu are partnering to develop autonomous parking technologies for vehicles. Baidu, one of China’s leading tech companies, is teaming up with NVIDIA, a Silicon Valley stalwart, to develop a platform that will utilize artificial intelligence, or AI, to provide cloud-based services to autonomous vehicles. The Baidu-NVIDIA partnership was announced at the Baidu World Conference in Beijing, Baidu CEO Robin Li together with NVIDIA CEO Jen-Hsun Huang said the partnership plans to offer the service to both Chinese and global carmakers. The partnership will combine Baidu’s cloud platform and mapping technology with NVIDIA’s self-driving computing platform to develop solutions for HD maps, Level 3 autonomous vehicle control, which requires some input from a driver and automated parking. “We’re going to bring together the technical capabilities and the expertise in AI and the scale of two world-class AI companies to build the self-driving car architecture from end-to-end, from top-to-bottom, from the cloud to the car,” NVIDIA’s Huang said. NVIDIA and Baidu have a long history of working together on AI. Using GPUs, Baidu researchers such as Andrew Ng have achieved some of the key breakthroughs that have made the modern AI boom possible. It’s a boom that’s spawned hundreds of startups during the past few years. Baidu has built its business by building the leading Chinese language internet search engine but has branched out into other areas such as artificial intelligence. NVIDIA has been one of the key makers of gaming consoles but in recent years has begun selling its sophisticated technology to carmakers. For the past couple of years, analysts have speculated that China where driving can be chaotic and casualties and pollution are high could easily become the first and largest market to absorb autonomous vehicles. Huang said Baidu and NVIDIA continue to share a common goal of using AI for the good of society. “We can start applying these capabilities to solve the grand challenges of AI, one of which is intelligent machines. One of the intelligent machines we would like to build in the future is the self-driving car,” Huang said. The goal is to make driving safer, significantly reducing the number of traffic fatalities, while making transportation accessible to all — including the disabled, elderly and children, Huang said. Developing a fully autonomous car is an end-to-end systems problem — from the in-car supercomputer, to AI algorithms, to an always-updated 3D map in the cloud, Huang added. This entry was posted on Thursday, September 8th, 2016 at and is filed under Automobiles. You can follow any responses to this entry through the RSS 2.0 feed. Both comments and pings are currently closed.